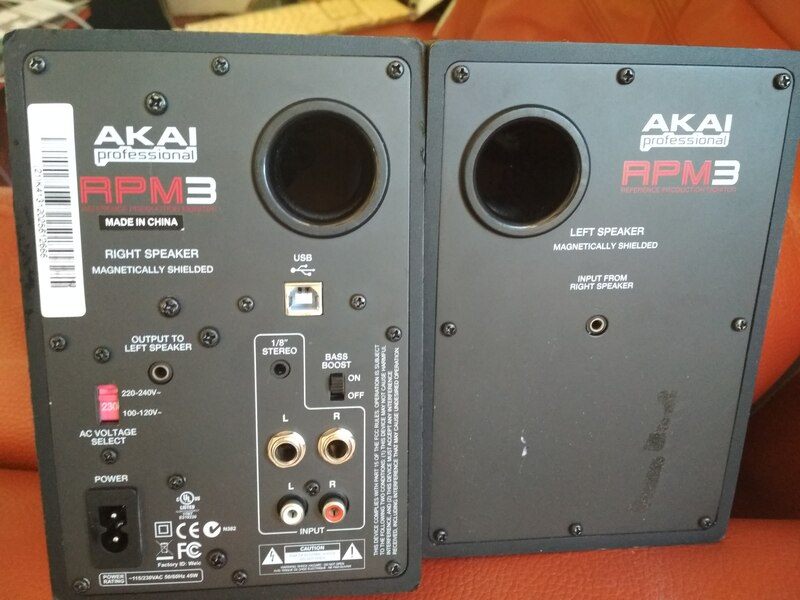 RPM3, Active Monitor from Akai. 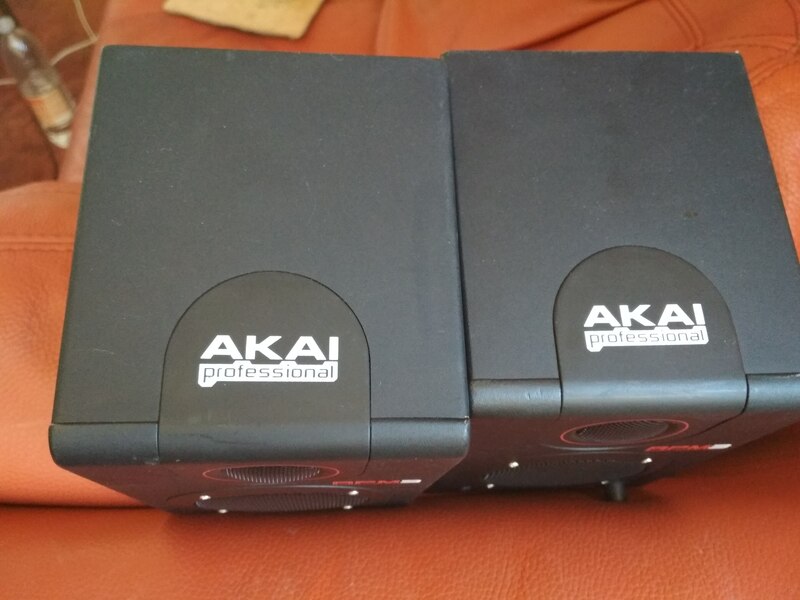 goka's review (This content has been automatically translated from French)" Just to make the prod not strong"
I was looking for speakers less powerful potential to make low-volume prod apartment dwellers. Because not too good of interest work without level .. especially without obviously lower woofer with 2 '! is always a good bass button "boost" behind but suddenly we forget to work the mix, or it is like working in the dark .. I used one year, they have always worked properly except this fake contact with the headphone jack. Interesting work for bases composed / her in the evening or at night apart, but to go deeper (mix, etc.) we forget ..
keza31's review (This content has been automatically translated from French)" Nice monitor to start!" -Lack of precision and low sometimes, but that price it seems normal! Some elements of comparison but it seems a great product for a first purchase! 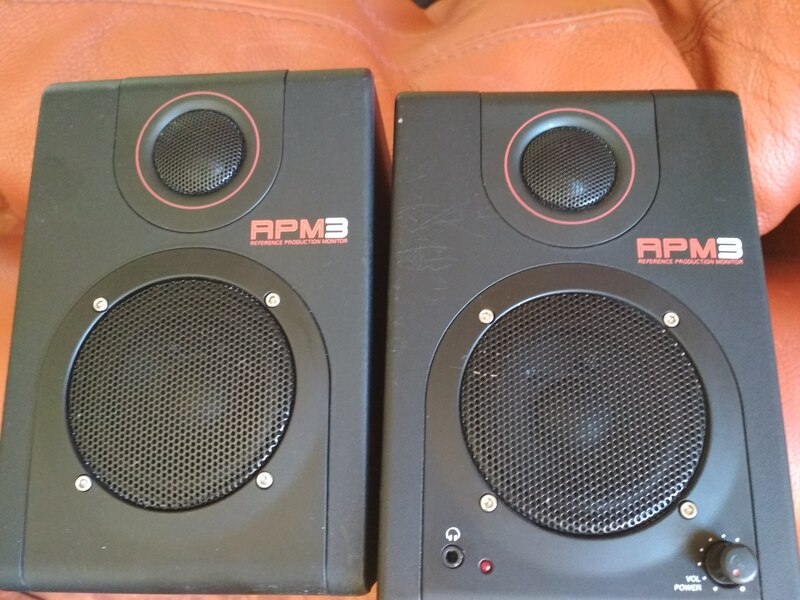 amiair140's review (This content has been automatically translated from French)" Breathtaking"
'm in my room with a small home studio and even me being the artist I was looking for premises monitoring small but powerful desire to realize a akai finally thanks to those RPM3 I take pleasure in mixing with his pupil and clear if I had to do this choice I would do without hesitation! diss's review (This content has been automatically translated from French)" Compact but excellent!" 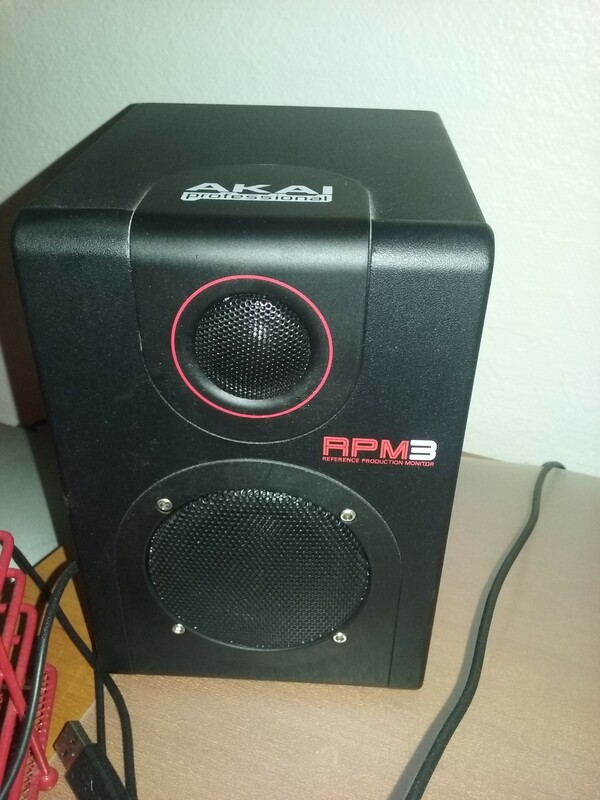 as a monitor for my little home studio. 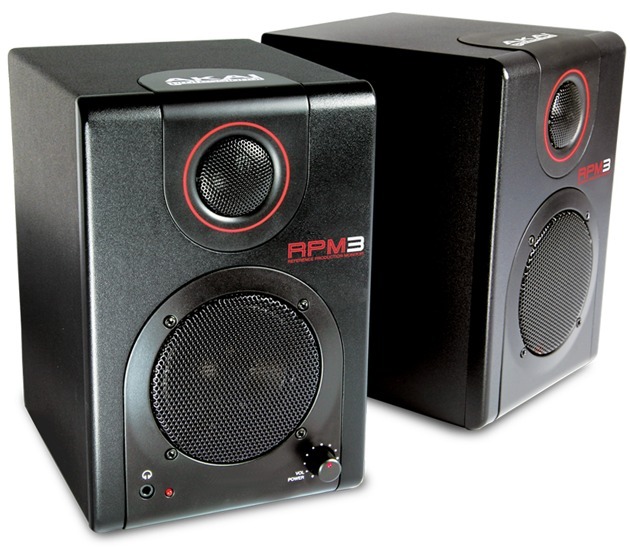 Although the bass is quite low for small monitors, the sound is very clear and fairly neutral. dynamics seem to be correct and very well respected. The +: very compact, connector, USB, button in the front, appearance and solid pro, not a toy like some more expensive models. Unbeatable value for money, I would repeat this purchase with no problem! 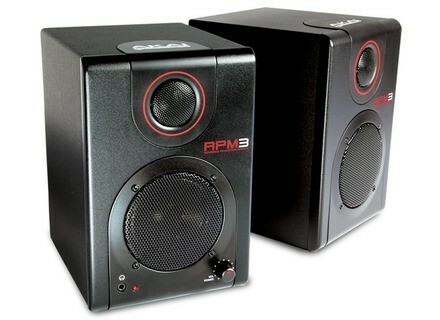 Akai Professional announced their new hybrid reference monitors and USB audio interface system, RPM3.